The Super Bowl heads to Atlanta for a New England v Los Angeles clash. The big day is finally here for NFL fans. 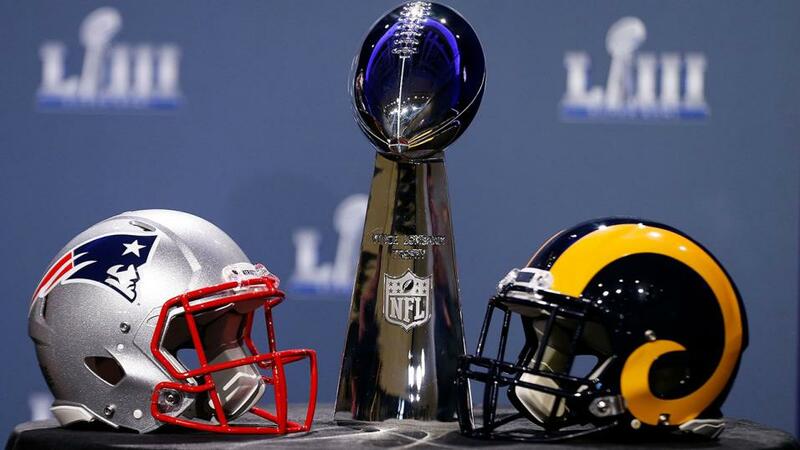 Mike Carlson is back for the last time this season to give us an idea how New England Patriots v Los Angeles Rams will pan out. "Defensively, the Rams can blow up the Pats' run game up front and they can man-cover the Pats most dangerous receiver, Julian Edleman. If Tom Brady has trouble finding open receivers, that will be a bad sign; if Aaron Donald gets to Brady, who's most vulnerable to inside pressure, or if it frees Suh or Fowler to get to him, it could be a long night." A funny thing happened on the way to the current two-point line in this game. 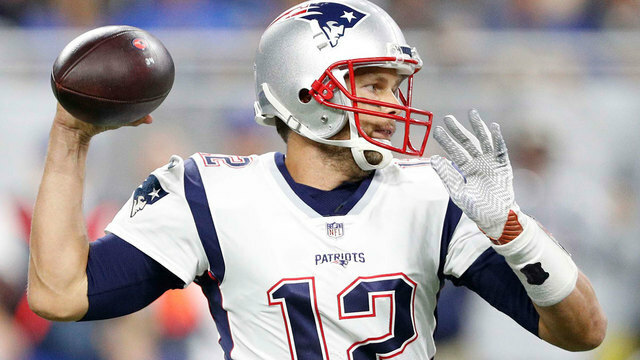 Immediately following the Pats' overtime win against the Chiefs in the AFC Championship, the line opened with the Rams favourites by 1.5 points. A tsunami of cash flowed in on the Patriots getting points, that the line flipped overnight, with the Pats giving 1.5. It's crept up to two points now, a sign that a point and a half wasn't quite enough to draw bettors backing the Rams. I find this puzzling. To me, the original line was probably about right. New England were underdogs in Kansas City, and earlier in the year would be the same to the Rams, perhaps even at home. But the Patriots' two playoff games have been their best two of the season, while the Rams, after handling the Cowboys easily in a 30-22 game that wasn't as close as the score seems, had their troubles in picking up a win in New Orleans that will always be tainted by a famous no-call. So recency bias set in with the punters and the original line, which probably was right in a vacuum, moved to reflect the Pats early dominance and OT dominance, as well as the Rams good fortune of a bad call and their problems moving the ball against the Saints. The reality is that there was no great team in the NFL this season: the four teams in the conference championships were probably the four best teams in the league (New England would probably be most people's outlier in that group) but the lustre of the Rams and Chiefs going 54-51 did not translate to the rest of the season, and right now the Super Bowl really should be classed as a toss-up. Why? Because the Rams have the ability to beat the Patriots on either side of the ball. The Pats need to pressure Jared Goff, they also need to stop the run game and contain the running backs, particularly, if he fully fit, Todd Gurley. This will be difficult, helped only by the fact that they will probably only consider doubling one receiver Brandin Cooks. Defensively, the Rams can blow up the Pats' run game up front and they can man-cover the Pats most dangerous receiver, Julian Edleman. If Tom Brady has trouble finding open receivers, that will be a bad sign; if Aaron Donald gets to Brady, who's most vulnerable to inside pressure, or if it frees Suh or Fowler to get to him, it could be a long night. The Pats, of course, can win. They need to control the game's tempo; their run and short pass game needs to click, which means probably showing Wade Phillips something he hasn't seen before. Running at Aaron Donald might be their best strategy, especially if Trent Brown can get involved in the doubles, leaving Gronkowski to block Fowler. Defensively, the game will be to confuse Goff; not show McVay a look he can predict while he's still talking to Goff, and make him hesitate before throwing. If Goff has time, he can drill the ball, but he's the kind of QB who needs to see it before he throws it, unless he's on his first read. If it comes down to kickers you have to favour Zuerlein, of the 57 yarder to win the NFC title, over Gostkowski, and that makes me worry about the Rams with the points. Though I am still taking the Pats straight up and I think the margin's three. Like I said, this one ought to be close, but I think the physical advantages the Rams have might be offset by the inexperience of Jared Goff, who's kind of a cross between the two QBs the Pats met in the playoffs so far. Interestingly, the Rams have gone under in both their playoff wins, but the Pats have gone over, and as I'm picking them I will probably go Over (56.5 at 20/21). I think White's going to play a big part in this game, unless the Rams show they can stop him, and if the Rams think he's going to catch the ball when he's in, he'll run it. I had a push the last time I picked White for over 6 catches, but that's on offer again at 11/10 and I think it's value. Brady will look for a lot of short passes against the Rams, especially if they are in man coverage. I also like CJ Anderson Over 41.5 yards rushing at 10/11; I don't know how healthy Gurley will be, but even so, CJA has looked good enough to get his carries, and he's a Ray Rice kind of runner, the kind who always seems to give the Pats problems. This is Gladys Knight and she is a pro. The 1:41.5 is quicker than the Over/Under has been recently, but the under usually comes in. Even though the exquisite Ms. Knight will add a few flourishes, look for her to cover the under.